Premium, noise-canceling headphones carry a hefty price tag. That means that when you look to buy a pair, you make sure it’s a good one. Top name brands like Bose and Sony tend to dominate the conversation when it comes to noise-cancellation. Can the AKG N700NC stand up to the big dogs? These headphones sound great, all said. The sound is open, wide and spacious, which is hard to do with noise-canceling headphones. Bass notes pack some serious punch, the high end is vibrant and the sounds are quite crisp. The noise-cancelation is superb, as to be expected from a device this expensive. These headphones offer an AmbientAware mode that lets some sounds through in the event you need to be aware of your surroundings. For instance, if you’re on a plane and want to hear when a flight attendant asks you a question. The headphones are made from a premium plastic material and the build quality is great. They’re not quite as solid as the competition from Bose, but they’re good. The earcups have a memory foam outlining that feels good, if not great, on the ear. Again, the edge in comfort goes to Bose. 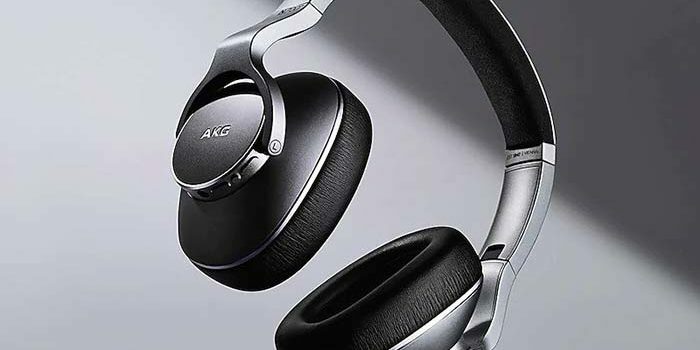 The AKG N700NC headphones are also a touch heavier than the competition from Sony and Bose. That’s not a huge deal, but it is noticeable. In any event, the build is great and reflects the high price, even if it’s slightly overshadowed by the competition. Coming in at the high price of $350 does a lot to discourage the curious, though. While Bose and Sony offer very premium and fantastic headphones at that price range, these AKG headphones don’t quite reach that lofty bar. If Samsung (who owns AKG, believe it or not,) wants to compete with Bose and Sony in a more direct way, something has to give. The next step for AKG needs to be either to drop the price of the N700NC to around $260 or to make a stronger pair of headphones. While the N700NCs are excellent, they’re not quite as good as, say, the WH-1000XM3 from Sony. What’s worse, the WH-1000XM3 is also $350.